Best backlink strategy for 2019. Friends, you have seen many videos and blog post on backlink. You are told to comment in forum, post etc. To create backlinks some free and paid tools are also used. Today I will tell you something new for 2019. That's only a technique or a trick to get backlink automatically. You will just send a email. Surely, you will get a 100% free backlink. What's the best backlink strategy for 2019? The best backlink strategy for 2019. It's name is "Reverse Image Search" backlink technique. Backlink is a offpage SEO which is very important in 2019. If your backlink is nice. Then your website or blog's authority will increase on Google. DA and PA of your site will increase. Which would ultimately increase your page ranking. Friends, to learn this best backlink strategy. Please read the post to the end. If you are new on my website. Follow me by website by filling your e-mail in footer. 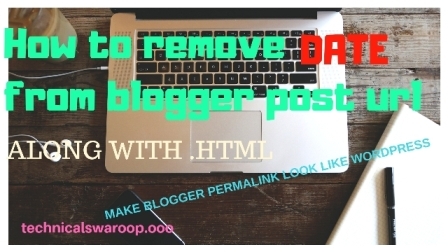 Hello friends, I am Swaroop blogger, SEO expert and digital marketing expert. Welcoming you to Technical Swaroop. Backlink is not everything, But it can do something. You open Google and click on images. Search any topic in the image search box. For Example: Let my website is on android. So I will search android. You will be knowing, if you will use any of there, resultant images on your blog, then you will get copyright issue. What the maximum people do? They go to tools, usage right and click on level for use after modification. They use the resultant image. Today also many people are not knowing this option and they take risk. They use the image in their blog or website without using this option. What are the steps to get backlink? 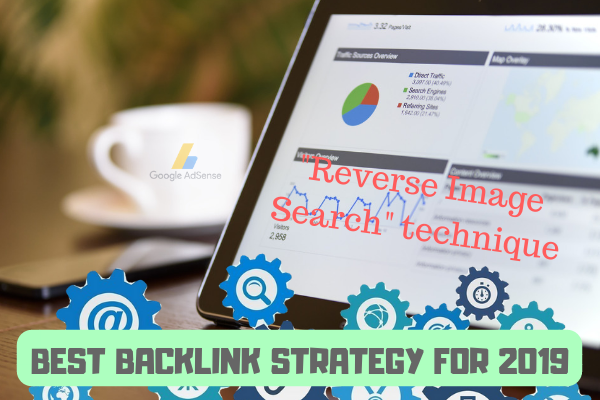 By using this reverse image search backlink technique (best backlink technique for 2019), how to get backlink for free automatically. First of all, find some website using copyright image. Then send them a mail (i will tell about the mail format also). That mail will force them to give a do follow backlink. Click on images on top left of the screen. Find the original owner of that image and other website who have use copyright images. Now find who is it's original owner (or who is having copyright of that image). Also find others who are using that image. To know the original website of that image. Click on that image (or click on visit bottom). you will know who is owner of that image. Now to find some others website or blog, who are using that image without having copyright. Hold that image and drop it into the pop up thus opened. After dropping Google will tell you which websites have use that image. Now you are knowing who have used that image with out having copyright. And who is it's original owner. From that list leaving the original website. Open all other websites in different tap. You will sending then a mail. How you will do that. I will tell you now. Then send a mail to the websites who have used that image without having copyright. After opening all the website (who aren't original owner). Go to contract us page. You will get their email ids. Copy the email id of the website. You have to copy the email ids of different website one by one. Then go to your gmail or your mail in any platform. Go to compose. on the "to:" paste the e-mail id you have copied. On the 'subject' you will write " a quick question". You have to type a formal e-mail. This format I will give you in the box bellow. This will make your process easy. First it is written 'owner name' you will change it by website name. Their you will see link of my website, you will replace it by your website url. And at the last their would be my name you will replace it by your name. In the message you have told that, "you have used copyrighted image". You haven't told whose copyrighted image it is. This just a simple trick. If the mail receiver would be not having knowledge about it. Then he would give your website link on any of his post. This is a simple trick. Thank you for reading this article. I hope you have understood reverse image search backlink technique. I think you would try this best backlink strategy of 2019 to get lots of follow backlink. If you have any doubt or, you want to know about any other thing then you can comment below. I will +tively response. Share if you can.